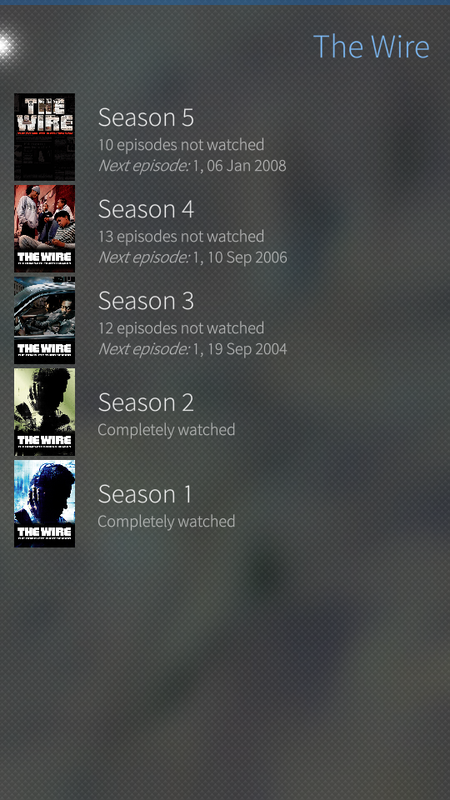 SeriesFinale is a TV series browser and tracker application. Its goal is to help you manage the TV shows you watch regularly and keep track of the episodes you have seen so far. 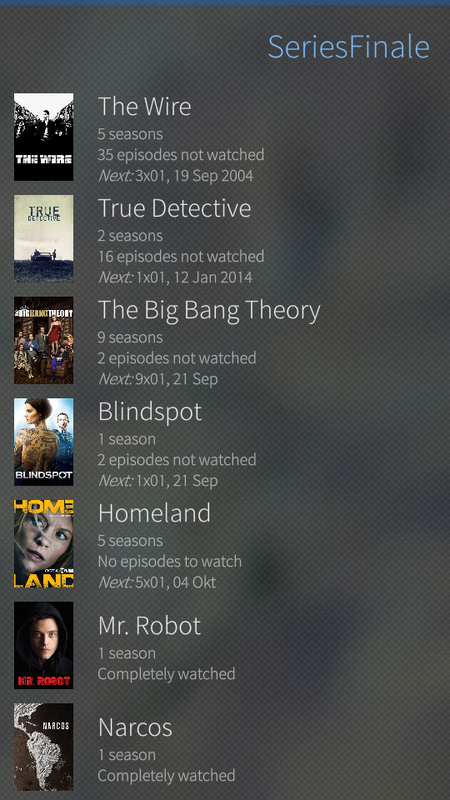 The shows and episodes can be retrieved automatically by using the “TheTVDB API” to help you get to the "series finale" with the least effort. I consider translating this app into Russian, but found out that it's backend knowledge on Russian movies and series is limited. In most cases it fails to find movies by name and when it works (using ugly transliterations), all info is in English and extremely basic. 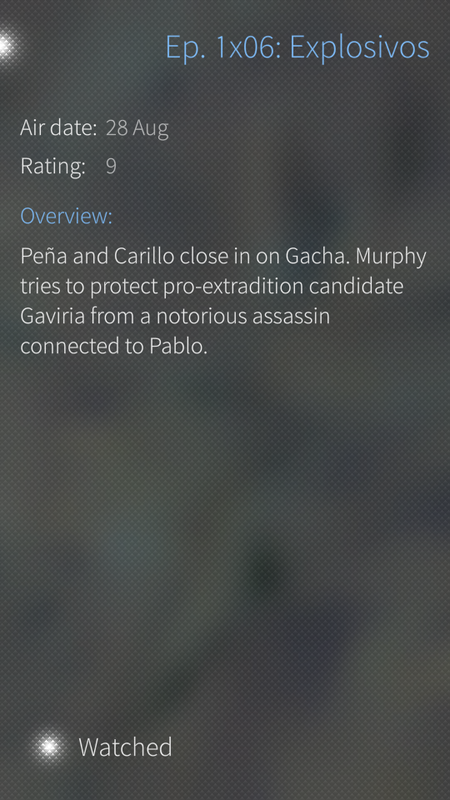 This makes SeriesFinale unusable for non-English speakers even with a translated GUI. There are multiple Russian movie and show DB sites which provide API to get data. It would be great to add the appropriate modules. If some needed documentation is not available in English and automatic translation is not usable, I can help with manual translation. Could not add this as an issue on http://gitlab.unique-conception.org/apps-4-sailfish/series-me. Registration does not work (only existing login page available) and my regular gitlab login fails. Is it possible to add an autoscroll feature when you open the list of episodes? 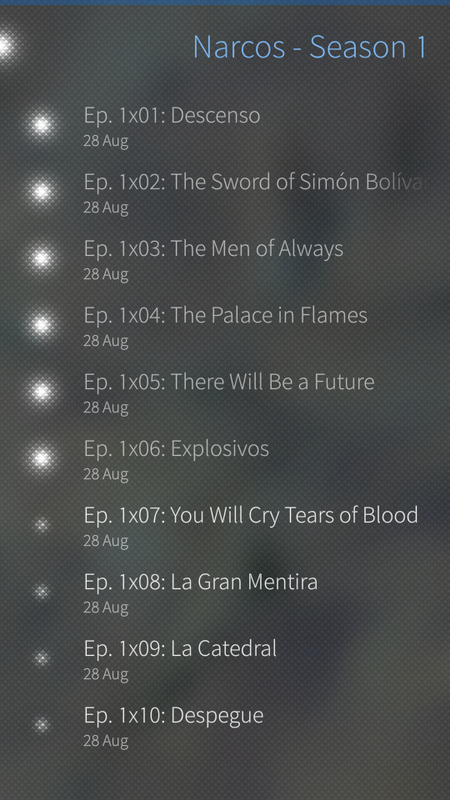 It would be nice if SeriesFinale automatically scrolls to the episodes you haven't watched yet. Could this have have a Movie option too? I am currently using two apps for this effect from the Store ( one for movies and one for series ) but yours looks far more user friendly. Maybe a tab with Movies option? I also agree on the notification when the series is airing. really busy at the moment, sry. - Movie option: I'll put it on my list and will look into it. I might actually like a separate app more. - Games: Is there a website with an API that you use? It would be nice to notify the user by a notification if a serie plays tonight. What about syncen it with Google Agenda or something like that? Then the user adds a Google Account to his Jolla and the series are booked into his calender. With the integration in SailfishOS this would be there, syncing google calendars is possible in SFOS. I won't duplicate that functionality. i like it but have a feature request also. could you add backup / export functionality? useful when you had to factory reset the device. I'm also usin this app as reminder for recommended series. Great idea! We could save the backup somewhere in Documents or something. The best place to back it up would be in Documents or something.